Tens of thousands of Syrians poured out of mosques after prayers on Friday to join anti-government protests, defying the threat of a brutal crackdown to express their rage at the killings by security forces this week in the city of Hama. 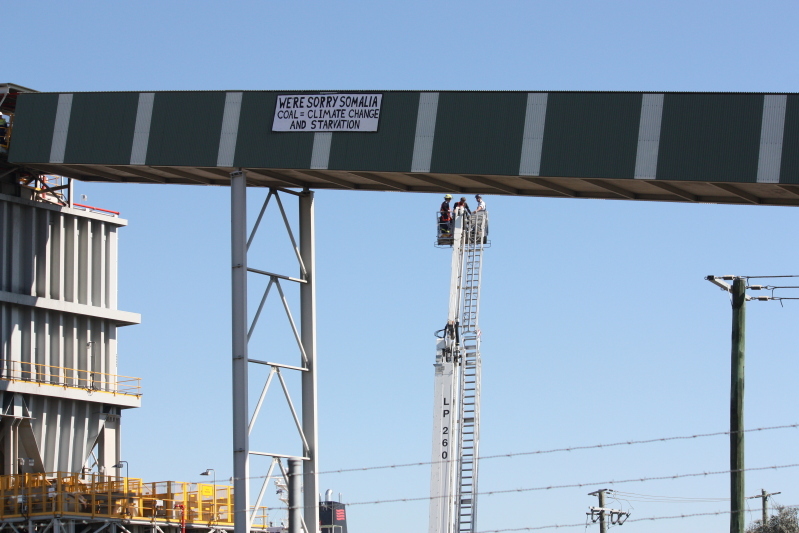 51-year-old South Korean labor activist Kim Jin-sukis about to enter her eighth month atop a 15-story crane where she has been protesting layoffs at a major shipping company. A one-day general strike called in Indian Kashmir by separatists to protest the death of a shopkeeper in police custody Wednesday closed down shops, schools and offices. Protesters pitched tents and laid down in the middle of one of the busiest streets in the Haitian capital Monday to protest efforts to remove them from a private lot where they have been living since the January 2010 earthquake. More than a thousand workers at a Finnish steel making plant downed tools on Thursday morning for two days to protest low wages paid to Polish bricklayers working at the site. Thousands of Chinese taxi drivers in Hangzhou went on strike earlier this week to demand higher fares, pensions and the establishment of a labour union.